This larger version of ten segments gives an inner circumference of 59cm, which is twenty three and one quarter inches. 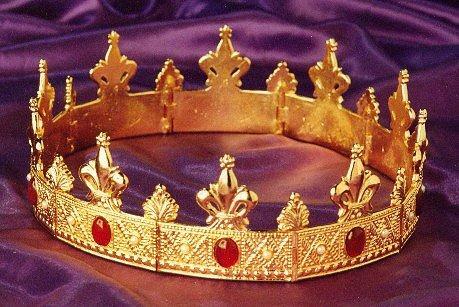 These segmented crowns or coronals were often hired out by churches for weddings. Please contact us before ordering as these are made to order which can take up to four weeks.